The “Millennials are killing [insert industry, product, service, or convention here]!” trope is cliché to the point that it’s now become a self-referential joke about the commonness, and often absurdity, of the accusation. That it’s become a canard taken increasingly less seriously makes sense. The seemingly accusatory implication that a generation, collectively, showing less interest in something, financially or otherwise, is a failure or betrayal on the part of that generation is part of the issue. This evolution of the millennial holiday experience comes with some good news. It turns out that most of the ways that the millennial generation has been modifying the traditional Thanksgiving dynamic should prove more profitable than the Thanksgiving of yesteryear for grocery retailers positioned to take advantage of it. For example, one of the most conspicuous features of the millennial Thanksgiving is the addition of a generally less formal Friendsgiving meal. It’s just what it sounds like, an often pre-Thanksgiving dinner and get together with close friends that’s usually held in the days leading up to the actual holiday feast. Around a quarter of millennials now cite attendance at a Friendsgiving event, that proportion being greater the younger the millennials are. And it’s a tradition that only seems to be gaining popularity. In addition to a designated Friendsgiving, the younger generation is also more likely to invite friends to their actual Thanksgiving dinners. It’s no longer strictly a family affair. As if Friendsgiving wasn’t controversial enough for the Thanksgiving purists, that most sacred of Turkey Day traditions is being, if not killed by millennials, at the very least threatened: the turkey. To be fair turkey is very much figuratively aliveas a Thanksgiving staple, but it is a bit less ubiquitous. While the chief challenger for the turkey’s crown is ham, millennials have been anchoring their feasts with duck, vegetarian and vegan entrees, even crab and lobster. Pumpkin pie remains a perennial inclusion, but the locavore, farm-to-table, and healthier-eating ethos has made pumpkin pie made from fresh pumpkin rather than a can much more popular. As mentioned, those are virtually all good things for the grocery industry, producers of niche food products that could have new-Thanksgiving appeal, and any grocery sales and marketing agency that recognizes the profit potential of a trend. It makes sense to lean into the “new normal” by featuring displays offering sales on ham, duck, or vegan turkey substitute. Produce sections can highlight their selection of delicious little sugar pumpkins for a pie that will be a hit at both Thanksgiving and Friendsgiving. Millennials are reimagining what the holidays can be, and food retailers can do so with them, or risk losing out. 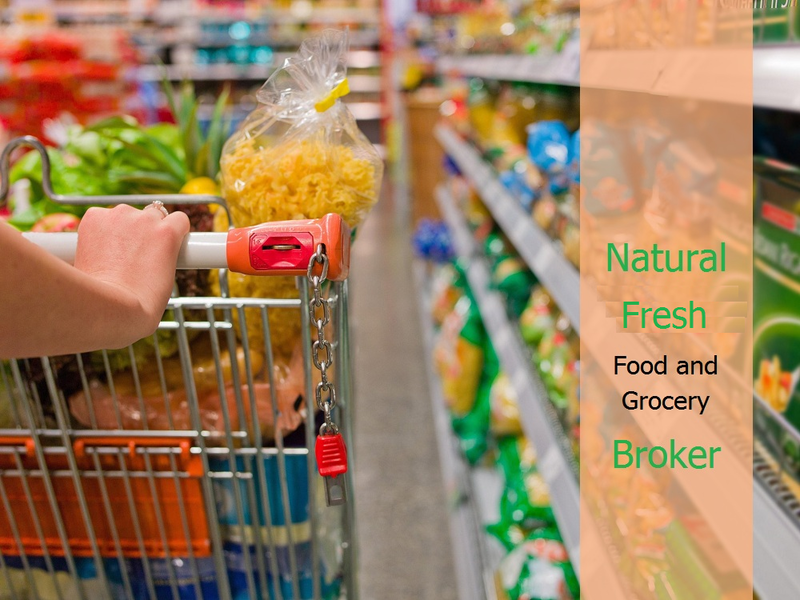 Fortunately, through working with an experienced food broker, grocery stores and brands alike can utilize their broker’s deep knowledge and insight into the industry and trends to help guide their stores and brands into success in today’s competitive market. Since their founding 1994, Impact Group has relied on leveraging precisely-analyzed, fact-based, and empirical data on both the trends within the CPG industry and customer buying patterns. This proven CPG marketing strategy has consistently and effectively guided their clients up productive and profitable growth and profit paths. Analyzing the industry-relevant economic metrics and capitalizing on them with their advanced proprietary technology has led to Impact Group’s recognition and respect as an innovative and leading-edge CPG sales and marketing agency. What Does the Grocery Store Dining Experience Mean for the Future of Grocery Retail? The rise of the internet marketplace has forced every industry to make some adjustments. Grocery retail has certainly not been an exception. Any sales and marketing agency worth its salt would tell the average brick-and-mortar retail business that the key is shifting their business strategy to an outgoing one, and to focus on making products available online. The retail grocery industry, however, isn’t positioned to live largely just online. Rows of fridges and freezers, deli, bakery, and butcher setups require real estate. The only recourse for grocery stores is to bring business to them. As a result, the industry has seen an upswing in more niche and artisanal grocery stores, increased point of sale convenience, an emphasis on health and transparency, and, significantly, a reimagining of what grocery stores are and provide. There are two key components of that paradigm shift. One is a generally expanding push to control and market more of the food preparation process, like offering ready-to-cook meals and meal kits. The second is about making the grocery store food experience about more than just buying groceries. Specifically, it’s about offering a personal, sophisticated, and enjoyable in-store eatery. As more of the grocery store/restaurant hybrids (aka “groceraunt”) prove successful, the explanation for their success becomes both clearer and more obvious in hindsight. Millennials, it turns out, are the ideal demographic for contributing to the success of groceraunts. While 43% of the general population eats out once a week,53% of millennials go out to eat once a week, choosing restaurants over home-cooked meals more frequently than Gen X or Baby Boomers. It’s also no accident that so many of the groceraunts focus on coffee and alcohol. There are a lot of wine tastings, local and craft beers on tap, collections of specialty whiskeys, etc. This is due in part because alcohol turns a profit pretty handily, and, as any CPG marketing firm will point out, one of the most successful strategies for in-store conversion is keeping customers in the store. If the restaurant-preferring, locavore, niche-appreciating millennial crowd will buy a beer or glass of wine in-store, maybe with friends, and stick around to make more purchases, all the better. Another unique feature of the millennial food preference is the emergence of the meal kit as a multi-billion-dollar industry, one that seems primed to grow. Both in-store and delivery meal kits have been increasingly popular, and grocery outlets and chains are enthusiastic about becoming players in the trend. As direct moves to do so, the big chains, including Albertson’s and Kroger, have acquired meal kit delivery businesses as well as producing meal kits in-store. Kroger has taken an additional step to better understand the tastes of consumers by establishing Kitchen 1883, a restaurant that also functions as a sort of food lab employing ingredients found in Kroger stores to determine what people like, what they don’t, and what’s feasible for mass-production. This trend offers an opportunity for grocery stores, the CPG brokers that supply them, and the food producers to better understand what customers would like to see and enjoy in grocery stores. Along with the traditional goods offered by grocery outlets, there’s a clear move toward more restaurant-relevant and meal kit products. And that offers an opportunity for forward-thinking grocery stores, grocery brokers, and those with independent food brands to promote the products consumers want. 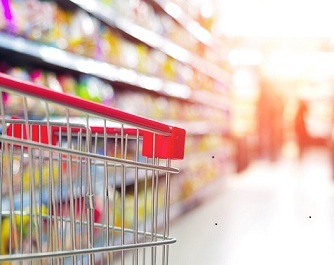 By working with a CPG broker with experience, brands and stores can leverage their broker’s knowledge of industry trends to help guide their own products and stores to success in the competitive grocery market. Since their founding 1994, Impact Group has relied on leveraging precisely-analyzed, fact-based, and empirical data on both the trends within the CPG industry and customer buying patterns. This proven CPG marketing strategy has consistently and effectively guided their clients up productive and profitable growth and profit paths. Analyzing the industry-relevant economic metrics and capitalizing on them with their advanced proprietary technology has led to Impact Group’s recognition and respect as an innovative thought leader in CPG brokering. In 1916, the first modern, self-service grocery store, Piggly Wiggly, was opened in Memphis by a Tennessee entrepreneur, Clarence Saunders. In the little over a century since, humanity has experienced a wave of technological innovation exponentially greater, many times over, than at any other time in human history. Of course, the grocery industry hasn’t remained untouched by that technology. We’ve seen innovations in food storage, shipping, online merchandising, self-checkout kiosks, and more. Despite that, the actual brick-and-mortar grocery experience has remained virtually unchanged. Grocery stores continue to order and stock popular products that customers select and pay for. That dynamic, however, may be changing, and that could mean big things for the industry, CPG marketing and brokerage agencies, and the customer. Much of the recent innovation in retail grocery isn’t exactly predictable as much as it seems like an inevitable step once it’s been established. A good example is the Italian grocery chain, Coop, founded by MIT professor Carlo Ratti. Coop began with stocking and setup innovations. The shelves are bookstore height, encouraging shoppers to interact with each other across rows. And rather than pairing food products with other products that they’re like, they are paired with what they are. So rather than canned tomatoes sharing space with canned corn and beans, they are displayed with fresh tomatoes; the wine with the grapes. More exceptional are the long, reflective screens positioned over the produce and sprinkled throughout the store. When shoppers lift produce or other products up to these interactive screens, motion detectors and Microsoft Kinect sensors identify the product and display information about it. A lot of information: the product, its price, nutritional information, pesticides and fertilizers used in its production, shipping details, even possible allergy risks. Beyond the educational and convenience value, for producers of natural, organic, and/or GMO-free foods, the product itself serves as a sort of sales and marketing agency, sharing its value. Due to the tight margins for grocery retailers, the phrase “startup grocery store” isn’t one that’s heard often. However, that’s how a German grocery store, KaDeTe, is being described. Founded by the producers of a niche matcha energy drink, KaDeTe is committed to accepting only or almost only small, artisanal, independent brands. The concept is being hailed as a boon for several industry-concerned populations. Chief among those interested in this model are customers looking for something new, and eager to participate in a market research experiment. Retail and trade analysts and researchers can gain access to a real-life, real-time microcosm of customer selection, including insights into what sort of products are successful and which aren’t, and how to best market products to ensure success. This setup could also prove useful for startups and independent food producers,as they’re able to sell their products and study sales information in a functional environment. Both of these models and subsequent innovation, however, are undoubtedly going to appeal to and establish opportunity for grocery brokers and their clients. Having access to grocery retailers featuring a medium that can highlight the selling points of clients’ products is an excellent resource for any producers whose responsible ingredients and production are selling points. While anyone trying to break into the grocery retail space is going to have a considerable leg up if the broker they’re contracting with has access to retailers that specialize in small or emerging brands. So, your niche food or drink product or brand has been doing well online. You have a website with the appropriate dedicated point-of-sales landing pages and may also be offering your product through third-party vendor sites as well. This is the point at which online sellers of consumable goods face an all-important decision for their brand: Continue to sell solely online by focusing exclusively on digital marketing, optimization, ads, and expansion to seek additional internet-linked niche markets and the sites catering to them? Or, is it worth going after brick-and-mortar grocery stores and retail chains? The latter can certainly be a risk, but success would change everything. However you choose to court the grocery retail market, it’s going to require an investment of time, money, and effort. The question is: Which of those investments is going to yield the greatest ROI? Which direction offers the greatest possibilities for growth? To be clear, whichever route you end up taking, you’re going to be acting as your own brand ambassador to one degree or another. You’re going to be promoting and explaining your product to your sales employee(s), a CPG marketing outfit, the owner of a local store, or a chain’s broker or purchasing agent. Being your own brand ambassador can also mean actively pitching your product or product line to brick-and-mortar outlets. Should you choose to pitch your brand yourself, know that the path to the top is going to take baby steps—a lot of them. The first step for personally getting your product on the shelves is—no surprise here—seeking out local retailers who specialize in healthy, local, artisanal, organic, or otherwise niche foods. There will likely be a substantial amount of cold-calling, a lot of unproductive conversations with bored or busy retail buyers and managers and owners, and undoubtedly a lot of red tape. Taking this on yourself can quickly leave you on the outside of important conversations and spread very thin in time and resources. The alternative to relying on yourself or an in-house sales associate is hiring a food broker. When you hire a food brokering agency (aka a CPG broker or a grocery broker), you’re hiring a lot more than an entity to administer deals between sellers and buyers. At least you should be; which is why hiring a good agency is paramount. The chief perk of having your brand supported by a CPG broker is the connections they bring. The relationships you or an in-house salesperson would have to build, the time required to build them, an understanding of the quirks and preferences of those contacts, and any other business-pertinent information have thankfully already been established by the food broker. A multifaceted and dependable CPG broker can also be leveraged as a targeted sales and marketing agency. They’re familiar with not only the more general grocery trends as well as distribution, promotion, and packaging strategies that work, but also know the specifics about pricing of products comparable to yours, including your direct competitors. And while they’re doing the legwork out there, looking to find your brand new homes, you can focus on production. As is the case in so many other areas of business, the key to finding success with a food broker is picking the right one. As close as regional food retail communities can to be, those without good reputations don’t tend to last. Find the brokers that have experience with products like yours and are willing to establish a specific, targeted strategy for your brand. With a good product and a good broker to partner with, the sky’s the limit. 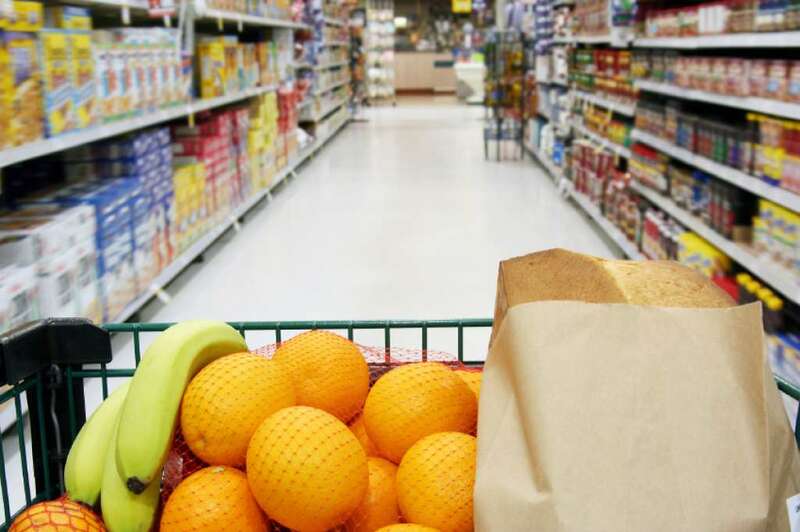 The eating and grocery shopping patterns of Americans are changing, directing many away from the center aisles in the store. Instead, people are shopping the perimeters for fresh and healthy foods. 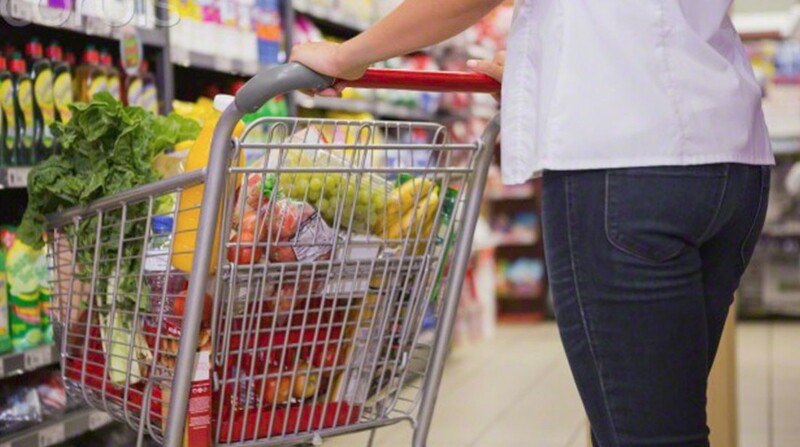 These behavioral changes have resulted in a stagnation of growth for center-aisle brands. The key to driving sales is producing consistent insight into how your products are performing. This can be completed by using a variety of technological resources such as in-store surveys, handheld devices, and online portals that monitor brand performance. Delivering consistencyThis requires a regular in-store presence to ensure pricing, promotions, and placement are in compliance with your standards. One should also verify that shelves are visually correct, fully stocked, and that pricing and promotions align with brand standards. Setting yourself apart from the competition is imperative. Creating a shopping experience unique to your brand is an excellent way to drive revenue growth. Encourage deep connections with your consumers with recipe drink pairings, branded recipe cards, or in-store demonstrations. Any demonstrations should go beyond samples and be a fun, unique experience—something that a talented food broker could easily assist you with. Keep your shoppers in the store longer with “retailtainment”—a mix of shopping and entertainment. A fun experience such as live cooking demonstrations or wine-tasting events will keep shoppers entertained and they’ll shop much longer. A positive, memorable interaction with your brand is sure to generate excitement and buzz around your products. The most successful brands adapt and change before they need to. They are innovators because they either influence change or adapt to it quickly. Understanding the mind of your consumer is critical to brand success. For example, PepsiCo purchased KeVita, a kombucha beverage company. They are cognizant of the fact that their consumers want more than soda, they want drinks that are natural and possess health benefits, and PepsiCo is adapting to meet those needs. The best way to resonate with customers is to ensure your brand is its true, authentic self when marketing to consumers. Help potential and existing consumers connect with your brand and mission by maintaining active, engaged communication with them via social media, a blog, and newsletters. Wendy’s, for example, has garnered a strong Twitter following as the brand’s persona on this platform resonates with their target audience. By displaying a sense of humor and poking fun at other companies, this brand is driving conversation about their company and products while building a camaraderie with their consumers. Founded in 1994, Impact Group is one of the first sales and marketing agencies to focus specifically on emerging brands in the CPG industry. The company leverages fact-based selling and proprietary technology to help its clients find the best path to market and grow responsibly. With a foundation in CPG marketing and expertise as grocery brokers Impact Group can set you apart with their experience. Large enough to make an impact, but nimble enough to specialize, Impact Group can take your brand to the next level by driving aggressive growth and sales. Millennials get blamed for a great many things. They’re responsible for “killing” everything from chain restaurants to straws. They have high expectations, yet these expectations don’t align with previous norms. Coming of age during a staggering recession, their commitments and preferences are much different than the boomers before them. Millennials are very much a generation who vote with their dollar. Research has shown they prefer companies that give to charity. And, while they are money-conscious, they are certainly willing to spend money on a brand that gives back, be it via charitable donations or a buy-one-give-one model. This generation expects brands to be actively engaged in giving back and has no problem earnestly avoiding brands that misstep. Brands don’t have to adjust to millennial preferences alone. They can work with grocery brokers to quickly adapt and change to inspire the next wave of shoppers to commit. While the process definitely isn’t easy, below are some tips and examples of how to adapt to millennial needs. Transparency and company values are very important to this generation. They want companies to have missions and processes that they align with and understand. The underwear and sportswear brand Aerie, for example, is very transparent about its ideals. This brand has committed to the public that their models will never be photoshopped. They are also passionate about representing all bodies, and regularly display models with disabilities and models of varied sizing in a fresh, authentic way. In addition, for every unedited photo someone uploaded to social media sporting their brand, Aerie recently donated funds to eating disorder research and support. As a result of these ideals and commitments, their market share is rapidly growing and quickly replacing better-known brands. Innovative products that target health and wellness are extremely popular among this generation. Superfoods, kombucha, whole foods made from whole ingredients, and foods rich in protein are all items they’re after. What they don’t want are overly processed, sugar filled, low-calorie, low-fat options. For example, Greek yogurt has eclipsed low-fat options almost entirely; the simple process, rich protein source, and ease of eating Greek yogurt has overtaken the need for a low-fat alternative filled with artificial ingredients. Because infiltrating the health food market can be difficult, consider hiring a natural food broker to aid you on your journey if you fall into this sector. You are no longer judged on your products alone. Millennials want companies to be engaged in the community, and they want you to prove it. Brands like Warby Parker, for example, resonate with this group because for every item sold, another is given away to someone in need. While millennials are very price conscious, they are absolutely willing to spend money on a product if it provides aid to someone else. Thanks to their upbringing, millennials are very money conscious. They save more than previous generations, and thanks to the enormous debt that comes with advanced schooling, they are used to pinching pennies every way they can. That’s why they are willing to shop generic and utilize coupons. The kicker is they want those coupons to be digitized and simple to use at checkout. 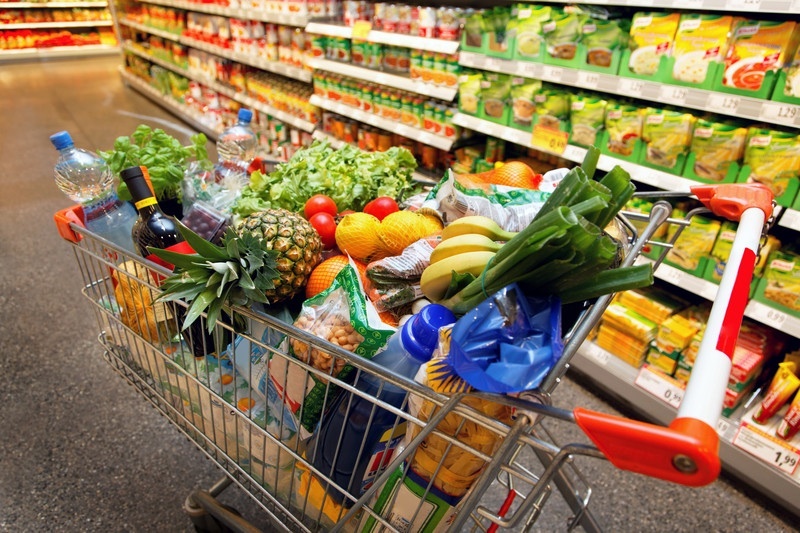 A grocery broker has experience with leading brands through adapting to consumer preferences. If you need direction and guidance on how to market to millennials, consider contacting a grocery broker today. Founded in 1994, Impact Group is one of the first sales and marketing agencies to focus specifically on emerging brands in the CPG industry. The company leverages fact-based selling and proprietary technology to help its clients find the best path to market and grow responsibly. With a foundation in CPG marketing and expertise as a fresh food broker, Impact Group can set you apart with their experience. Large enough to make an impact, but nimble enough to specialize, Impact Group can take your brand to the next level by driving aggressive growth and sales. While picturing this process might lead you to believe the taste is lacking, it absolutely isn’t. Talented CPG marketing and increased popularity of the drink has resulted in a saturation of options to the market. Offered flavors are varied and seemingly endless including vine-ripened fruit and an assortment of herbs, so you can actually enjoy this healthy drink. A smidge sweet, slightly tart—with tiny effervescent bubbles that burst on your tongue, kombucha is a multiple sense experience, engaging both your palette and your nose. Kombucha has garnered a cult following for more than its taste. The long list of health benefits has encouraged daily imbibing among fans. It’s riddled with probiotics that line your gut with healthy bacteria aiding in digestion and a healthier digestive tract. It also contains antioxidants that aid your body in fighting free radical damage. From a strengthened immune system to a healthier liver, kombucha packs a healthy punch. This craze isn’t going away anytime soon. In fact, expect to see even more of it on your store shelves as brands like PepsiCo get involved in the action. Working with a CPG sales and marketing agency will ensure your product takes center stage. They will help you wade through the best path to market for your brand and utilize their store relationships to find your product a place to flourish. Founded in 1994, Impact Group is one of the first sales and marketing agencies to focus specifically on emerging brands in the CPG industry. The company leverages fact-based selling and proprietary technology to help its clients find the best path to market and grow responsibly. 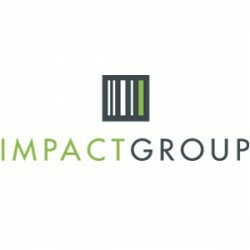 With a foundation in CPG marketing and expertise as a food broker, Impact Group can set you apart with their experience. Large enough to make an impact, but nimble enough to specialize, Impact Group can take your brand to the next level by driving aggressive growth and sales.